Chef Caroline Fidanza opened Saltie, a vegetable-forward sandwich shop, and most recently, Little Chef, a sustainability-oriented take on the lunch counter. Visit Saltie's website here. Saltie is an eatery in Williamsburg, Brooklyn that was created and is run by three pioneers of the Brooklyn food scene. The shop boasts a devoted following of diners who love their magnificent sandwiches, soups, egg bowls, drinks, and sweets. This cookbook features 75 recipes for all of these favorite foods, plus more than 50 color photographs and 10 humorous drawings by Elizabeth Schula that capture the sense of commitment, locality, and belonging countless devoted foodies feel for this famed eatery. 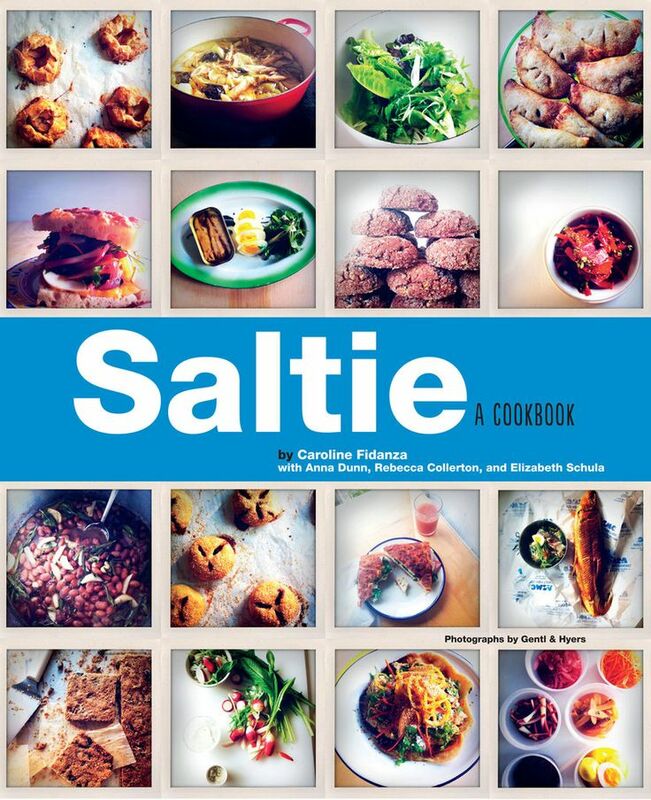 Full of surprising visuals, great recipes and colorful storytelling, Saltie is at once a unique cookbook and a guide to good eating.